The BC810 unit consists of two basic parts: baseplate (TP857) and power supply/logic board. The baseplate is where the connectors to CEX-Bus and the external power reside. It is grounded to the DIN-rail through metal parts of the housing. The board also carries the external power voting diode and fuse. 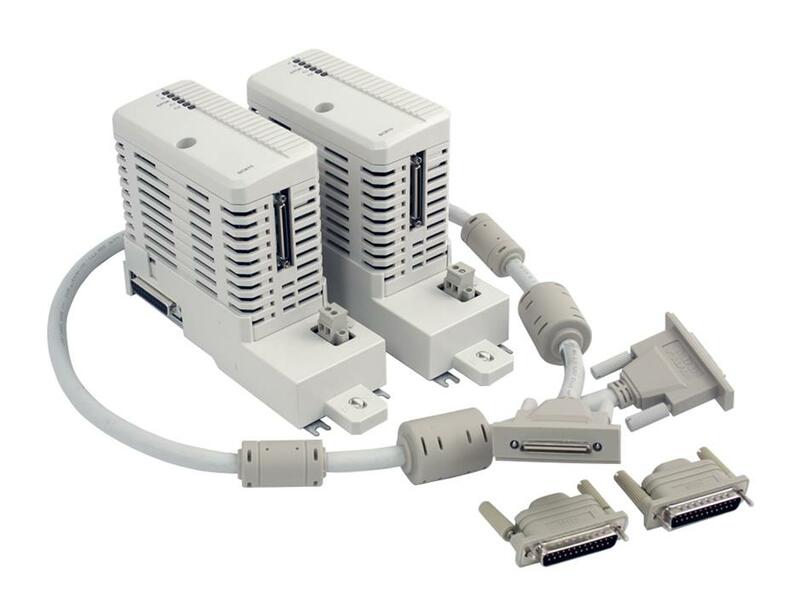 The power supply and logic board contains the +3.3 V converter, logic, drivers for CEX-Bus interconnection and the connector for interconnection cable. BC810 can be used with PM861A, PM862, PM864A, PM865, PM866, PM866A and PM867. In a fully redundant system with two interlinked BC810 and primary/backup CPU pair, the BC810 support online replacement of the CPU baseplate without disturbing the CEX traffic. If the BC810 has to be replaced, all traffic to the connected CEX segment are stopped. The CEX-Bus is used for extending the on-board communication ports with communication interface units. It is also possible to use redundant communication interfaces on the CEX-Bus. The CEX-Bus Interconnection unit BC810 is used to increase the availability on the CEX-Bus by dividing it into separate segments. This improves the availability in systems with redundant communication interfaces. • Supports redundant communication interface units. • Supports on-line replacement of the CPU. Power supply Inputs designated L+ and L- 24 V nominal, variation between 19.2 V DC and 30 V DC.